SNAFU! : Japanese standing up their Amphibious Rapid Deployment Brigade (Japanese Marines) next Tues! 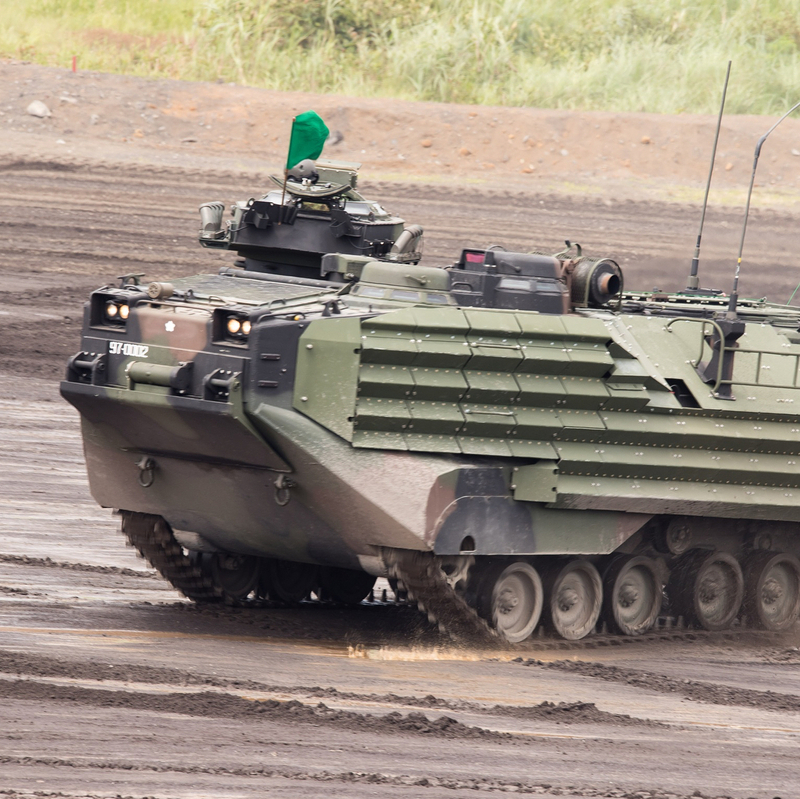 Japanese standing up their Amphibious Rapid Deployment Brigade (Japanese Marines) next Tues! Japan’s Ground Self-Defense Force will launch on Tuesday an amphibious rapid deployment brigade regarded as the Japanese version of the US Marine Corps through the GSDF’s largest-ever reorganization in response to China’s growing assertiveness in the East China Sea and tensions on the Korean Peninsula. The 2,100-strong force, to be based at Camp Ainoura in Sasebo in the southwestern prefecture of Nagasaki, is expected to play a key role in missions to recapture southern remote islands if they fall into enemy hands. It will comprise a mainstay amphibious unit and a landing unit to operate assault amphibious vehicles, which are currently used by US Marines. As soon as a remote island is invaded, its troops will be sent to the front line by AAVs and Osprey tilt-rotor transporters the GSDF plans to acquire from the United States. Also through the structural reform, the GSDF will newly have a general army to oversee its five regional armies across the country for smooth joint operations with the Air SDF and Maritime SDF as well as U.S. forces. The general army’s command will be set up at Camp Asaka, which saddles Tokyo and Saitama Prefecture, and Japan-US joint division at the US Army’s Camp Zama in Kanagawa Prefecture, south of Tokyo. The GSDF will also revamp its 15 divisions and brigades in stages. Eight of them will be equipped with mobile combat vehicles to enable quick responses to military contingencies, including on the Japanese-administered Senkaku Islands, which are also claimed by China. The Japanese have at least in the modern era been a heavy Air-Sea force and with good reason. The need to counter Chinese efforts on their outlying islands can only be addressed by putting boots on the ground and I expect the Japanese Marines to be at the forefront of that effort. Say it till it sticks...Combined Arms wins battles..not air or sea or ground alone. Combined Arms! With this move the Japanese are well on their way to having a complete military and will become even better partners to the US.